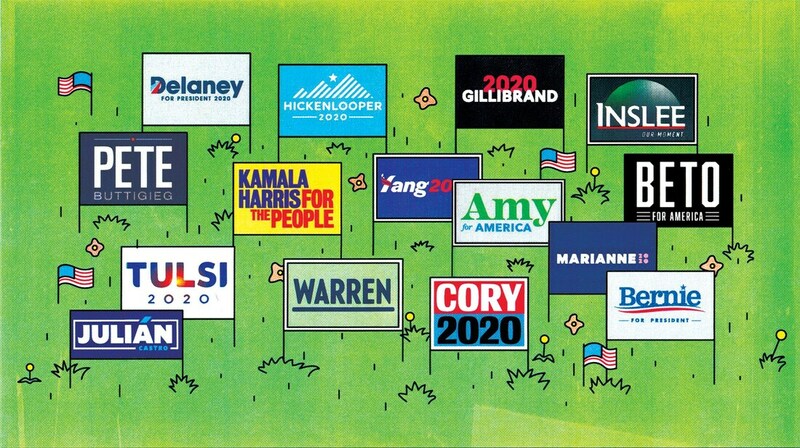 Are you with a 2020 campaign? Do you want to set up a meeting or event with voters in Windham, Salem and Pelham? Email SouthernRockDems@gmail.com for information. We have resources to make setting up a candidate visit to our area very easy! We have seen visits from President Obama, Senator Hillary Clinton, Governor Martin O'Malley, Senator Bernie Sanders and others. We would love to have your candidate visit for the 2020 cycle! One-stop shopping for candidate info - links to websites, past town halls and upcoming events. The Windems does not endorse any particular candidate, we aim to present information on each candidate to Windham voters. Please be patient as we build this & come back often! Money in politics is an issue that spans party, location and other affiliations. Please invite and encourage all friends, neighbors, coworkers, teens, etc to attend the screening and to participate in the discussion. Windems gathered in January to compile some New Years Resolutions and Predictions. We were joined by favorite guest, Steve Marchand. Windems Wednesdays Coffee - on hiatus, but don't let that stop you from getting a good cup of coffee! Village Bean always welcomes those looking for good coffee and good conversation! Windham Democratic Town Committee 32 Range Road, Windham, NH Kristi St. Laurent, Chair.